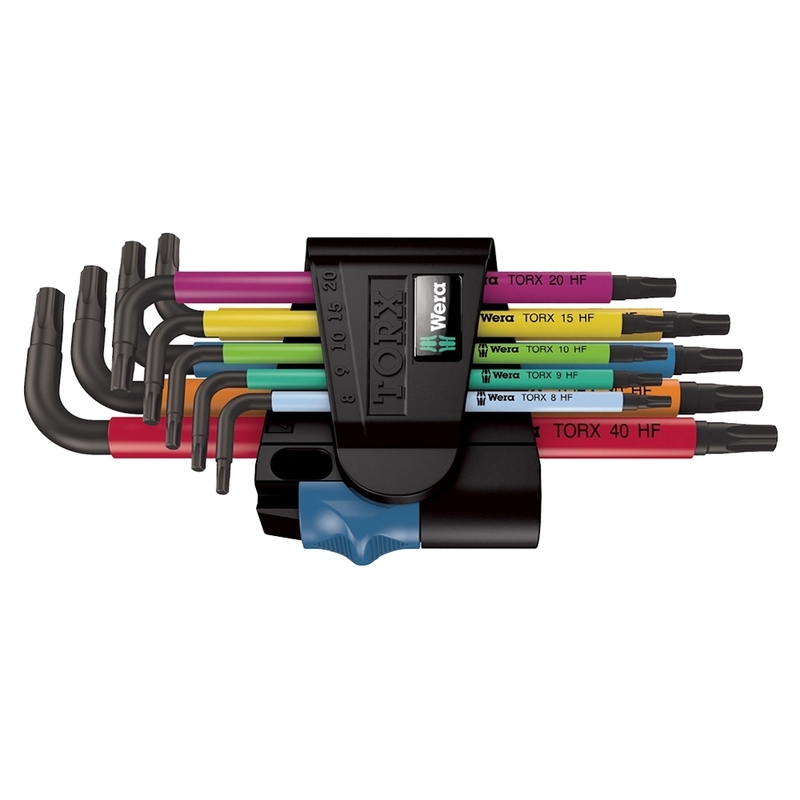 This set from Wera includes 9 Torx L-keys with holding function and durable plastic sleeves. The sleeves are colour-coded and inscribed to ensure you can recognise the correct size tool for the job at first glance. 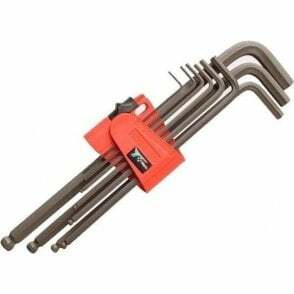 Supplied in a wear-resistant 2-component clip which keeps tools in place until required. Holding function ensures secure grip on screw. Set includes 1 each of the following Torx sizes: TX8 x 76mm, TX9 x 79mm, TX10 x 85mm, TX15 x 90mm, TX20 x 96mm, TX25 x 104mm, TX27 x 112mm, TX30 x 122mm, TX40 x 132mm.